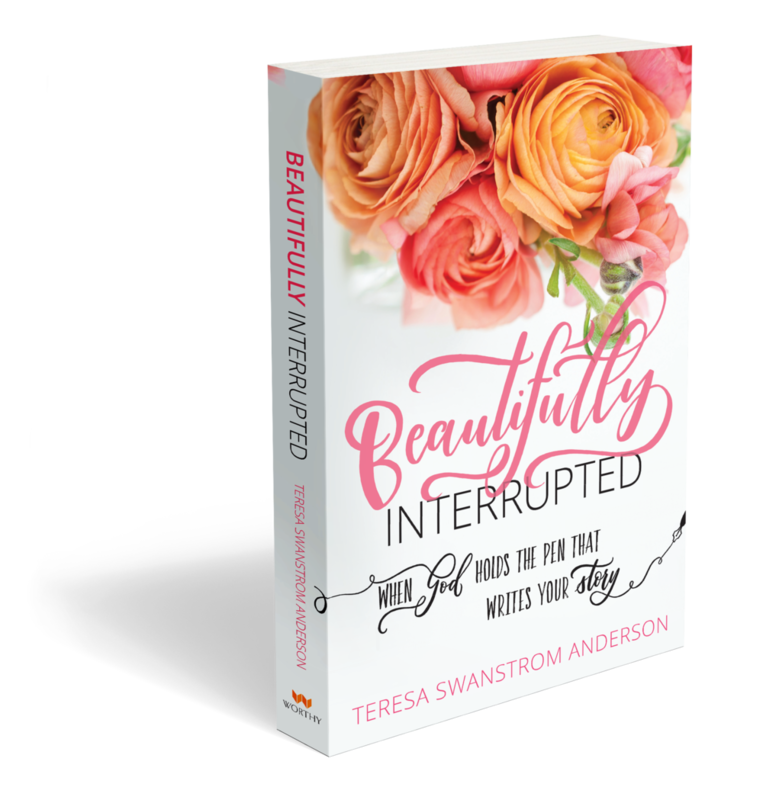 Beautifully Interrupted: When God Holds The Pen That Writes Your Story – NOW AVAILABLE! Have you gotten so caught up in life and your well-intentioned plans that you may have accidentally planned God right out of it all? Teresa Swanstrom Anderson did just that. Her carefully laid out life changed course when she whispered to God, Send me. Use me. 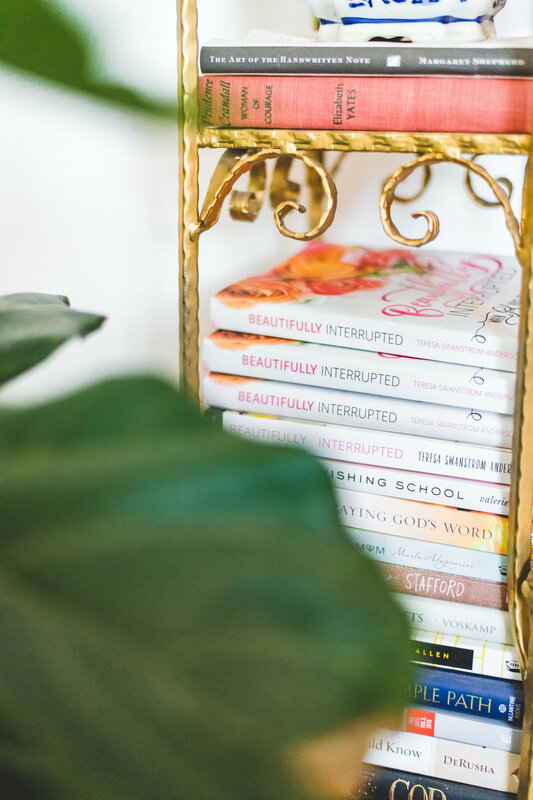 Be inspired as you read Beautifully Interrupted and learn the importance of giving your plans back to God and allow Him to expand the borders of your life and heart. This book offers strategies and encouragement for living through the in-between times of waiting, as well as facing trials with grace and active faith. Become equipped to brave the storms and embrace the life-changing power of seeking God's plan first and sacrificing time and set plans in favor of something far greater. Teresa shares her personal story of realizing she wasn't involving God in her plans and how she released her own control so that He could use her life for furthering His Kingdom. Learn how you, too, can turn your life over to God and see where He leads. Teresa Swanstrom Anderson lives with her husband, Ben, in Denver, co with their loud and silly brood of six. She spends her days wiping off sticky counters, Instagramming and blogging.